Today’s China is an outpost of modern western architecture. All famous architects and firms build here. Having lost their historical context, the objects of traditional Chinese architecture become islands in the ocean of new development. Their destiny is controversial. Architectural masterpieces are perceived in a superficial manner not only by tourists, but also by local people. The link of times that used to be cherished in Chinese culture is being broken today. BAGINA, Elena. Islands in the Ocean. 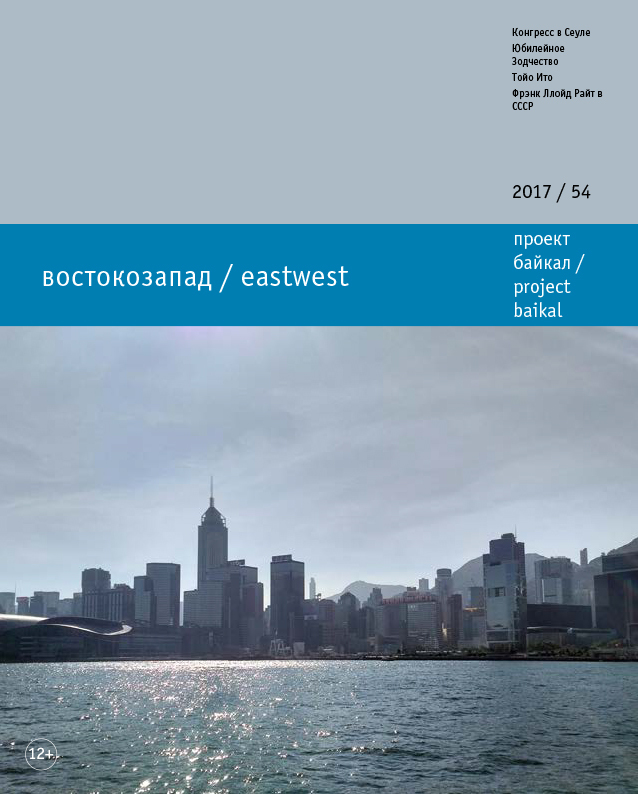 project baikal, Russian Federation, n. 54, p. 72-80, dec. 2017. ISSN 2309-3072. Available at: <http://www.projectbaikal.com/index.php/pb/article/view/1253>. Date accessed: 18 apr. 2019. doi: https://doi.org/10.7480/projectbaikal.54.1253. China; tradition; Western architecture; islands of traditional architecture; globalization; breach of cultural tradition.